The traditions of our company date back to the 1970s. From the very beginning we have been building prototypes of different products – both for our own needs, as well as for business partners in Poland and abroad. In our production plant we re-created in the real world what various designers of industrial solutions envisioned on paper. In our hands we held the very first exemplars of various objects, before being directed to mass production. Mass production in relative terms, of course, suited to the times. This wonderful, creative adventure lasted more than 30 years … and still continues, though nowadays under a new guise. After all, we could not waste such valuable past achievements! Many years of experience of design and construction, as well as the ability to understand the needs and expectations of today’s customers prompted us to open up to new, innovative technology combined with living in harmony with the nature. 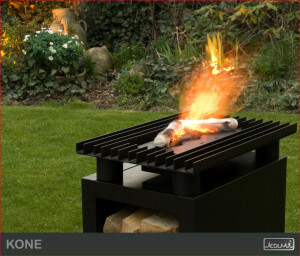 And so in 2009 we started to produce bio-fireplaces and garden fireplaces based on original designs and construction. Today, we can proudly say that as a Polish manufacturer of fireplaces we have achieved spectacular success in both the Polish and European market, offering high quality products and – what is important in the current era – a reasonable pricing policy. The KAMI brand is now a well known and respected name among other leading companies producing decorative fireplaces and bio-fireplaces. 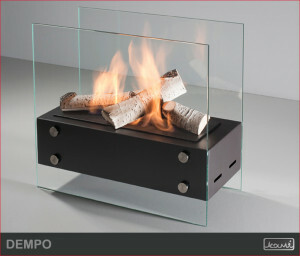 We specialize in the design and construction of bio-fireplaces, as well as their most important elements – namely, the burners for fireplaces and fireplace inserts. We offer more than 200 models of bio- fireplaces, among which one finds ceiling and wall-mounted ones, as well as freestanding and built-in models. We launch mainly short product series, often even single pieces – therefore our fireplaces can not be bought at standard, popular DIY markets. Materials used to produce bio-fireplaces are specially selected and have the best possible parameters available at a reasonable price. Each bio-fireplace is manufactured by us with the greatest diligence, and carefully inspected before it reaches the hands of the customer. As a reliable manufacturer, we offer warranties for all our products. We are creative. Every day in our studio we create new designs, only to choose the very best from among them, which we perfect before they take on the final shape. Hence we are able to meet the expectations and suit the taste of almost anyone who chooses to entrust us with their „dream of fire”. If a customer cannot fins what they are looking for in our pre-existing, we are ready to design and construct an eco-friendly bio-fuel fireplace according to their individual ideas and needs.